The high rate of inflation in the country is no joke. People are beginning to device means possible to survive the recession which appears heading to depression. The federal government seems helpless about the situation. But is it that the government has run out ideas on how to remedy the situation or that it is a deliberate ploy to punish the masses for just to no course. Politician could be very tricky and it is the reason why they are known to have no truth in them. Funny enough, what you don’t know, you call names and what you know you destroy. What is actually wrong with MMM if individual seek to leverage the platform to enhance their finance. Isn’t that personal decision? It baffles me indeed to see what is been written about mmm. But the question is; would the press have to blame those participating in mmm? 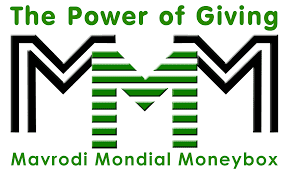 It has been claimed in many area that the mmm is faceless for now as they seem not to know the person/people behind the money making or doubling scheme. I want to say here that Nigeria seems vulnerable in the mixed of this continued decline of the economy. So, what do you expect of people trying to find a way to survive the economic crunch? What is the current rate of unemployment in the country? After spending years in the university, how many were able to secure job. Those that were able to secure job, the lucky ones, how many of the acclaimed lucky ones got his/her job on merit? Isn’t it based on whom you know? In Delta State for example, there was a time in the ministry where applicant were ask to cough out N800,000.00 – N1,000,000.00 as a sure way to get job. Yes, some who had capable relative that assisted them to get the money eventually got the job. There were many petition to that effect and our able governor (Senator Ifeanyi Okowa) came in and find out the level of injustice and nullified the employment when he came into power. The people involved were subsequently punished depending on their involvement. Hey, this is not only applicable to Delta State alone; it could also be going on in other state. The economy is currently not friendly…there is no job opening, the price of goods and services is on the increase, and the business environment is not friendly anymore. The so called lucky ones working could no longer meet up with the high cost of goods given their salary, how about the jobless. Our leaders don’t seem to see and understands what the people are going through. The policy measures put in place seem not working. What then do you expect? Would you look for a way out in as much you’re not going into stealing? I heard that mmm is not safe to put your money with all sort of reasons why it is not safe. The history of the founder was traced to google and how it has not succeeded in other countries before now. To be candid with you, I don’t see how the government has the people at heart. After all, there are many who had lost millions in the past on account of acclaimed registered bank…and never recovered the money till date. Everything in life involves some level of risk. Those who can take the risk of investing their money in returns 0f 30% should be allowed to. Truth is that mere campaigning of the danger of mmm and urging the people to stop getting involved might not discourage people from participating especially those that are already enjoying it and must have achieve one thing or the other with it. Obviously, it will be difficult. What I think that will work to discourage the people is creating another alternative, better alternative to mmm. And of course, this should be in the area of job creation and transparent process to getting the job. Again, skill acquisition center should be set-up and thereafter given starter park. Soft loan should be made available to those seeking to establish small scale business. Funny enough, when you put money in the bank, you’re not been given any reasonable interest at the end of the money. Instead, you’re been taxed on all sort of things. Do you see why the people are vulnerable…and are always seeking for avenue that seem easy, better and rewarding to them not minding the risk? They noted that even in the mmm site that it is boldly written that participant should not use all they have but their spare money. With that note of warning, anyone who desired to participate in mmm should apply wisdom. Life demands that you apply wisdom in all that you do. Be it mmm or anything you intend to involve yourself in. Be that as it may, the government as cautioning the citizen is doing what they are supposes to do. The essence is that when what they are expecting happens, you wouldn’t blame them. The participants are also praying for the safe life of mmm. Out of the abundant of the heart, the mouth speaks is what the Bible say. However, I want to say here, while mmm last, apply wisdom.